In 2016 I met my hero – Oprah Winfrey, the philanthropist, media mogul and counselor to the world. We talked for 30 minutes about my experience with Weight Watchers and later had the most amazing dinner at her lavish home in Montecito, California. This experience led to me appearing in a national television commercial with Oprah and seven other successful Weight Watchers members in early 2017. Combined, the eight of us lost 595 pounds.This, for me, was a real dream come true. It could seem random on the surface, but I believe it was an answered prayer from nearly 15 years earlier. Even today, my story is a gentle reminder that a prayer delayed does not mean a prayer denied. In 2002, I helped my best friend Monica Carter Tagore self-publish her first novel, As If Nothing Happened. With a shoestring budget and my limited QuarkXpress and Photoshop abilities, she wrote and I designed the book. The story centered around three girlfriends dealing with very personal issues that are universal to women – a messy divorce, heartbreaking miscarriage, and violent college sexual assault. Ultimately, these three girls laughed, cried and triumphed. They had to forgive one another and those who tried to destroy them. 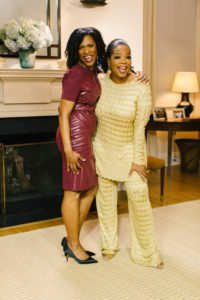 Monica and I believed the story was strong enough to win Oprah’s Book Club stamp of approval. We went all across the South peddling our book. 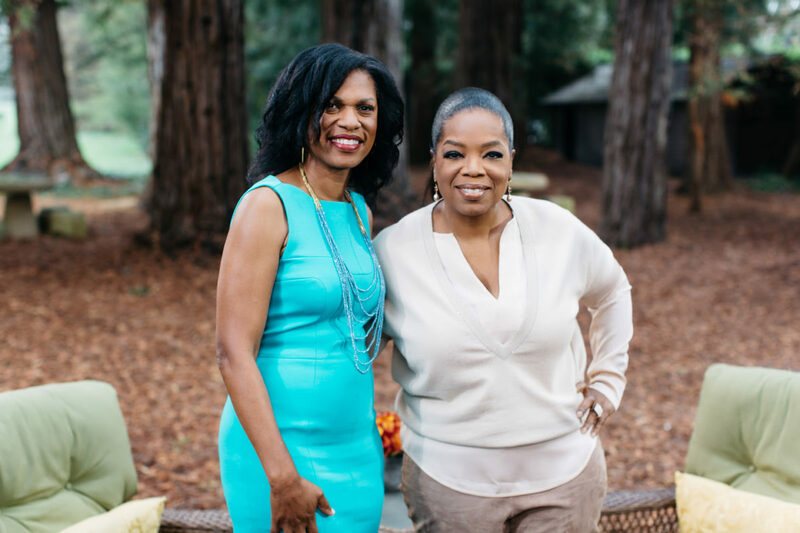 The response was positive and so we sent Oprah a copy of the book and a passionate letter – maybe more like a plea – to accept the book. We were so excited! We waited. Nothing happened. No call. No invitation to Chicago. But life went on. I was a busy mom raising my only child and expanding my career from a reporter at The Times, where I met Monica, vice president of communications at the Shreveport-Bossier Convention and Tourist Bureau where I work today. There were difficult times mixed in during that time. Over the years, I ate my pain. It was how I dealt with disappointment and hurt. My story is relatable. I was cheated on and left alone with a newborn baby in 1998. For nearly three years, I was extremely depressed and thought often about the end. I was juggling mommy duties and feeling obligated to any and everybody who wanted something from me. Later, I got married. I thought that would help. It didn’t, and I found myself divorced.